Skype has marked a monumental milestone today as it celebrates its 10 year anniversary. It seems 2013 is the year filled with tech companies and services hitting this era. Sure, as the communications giant notes in a blog post today, the service has helped connect more than 300 million people around the world, letting them talk for more than 1.4 trillion minutes (2.6 million years of conversations), but the real interesting part of Skype is its history. In just 10 short years, Skype has changed human relationships around the globe by helping people do things together, whenever they are apart. Skype, which started as a unique way to make calls over the Internet and quickly evolved with features that allow every type of communication, will continue to grow and evolve over the next 10 years and beyond. As consumer behavior and technology evolves, we look forward to being at the forefront and finding new ways to enable conversations all around the world. For most people, they think of Skype as that instant message meets telephone service that they can use to communicate with one another — it’s just another app on their computer or mobile device. But it has also helped bring a whole industry into the mainstream. It’s considered to be a pioneer (not the original one, mind you) in Voice over IP technology. A decade ago, the craze when it came to communicating was through instant messaging — you know, with AOL Instant Messaging (AIM), ICQ, MSN Messenger, and Yahoo Messenger. The mainstream didn’t think about services that would let them not only chat, but make telephone and video calls right from the app. Fast forward and you’ll see that Skype has helped usher in this era of always-on connectivity whereby people are brought together no matter where they are. 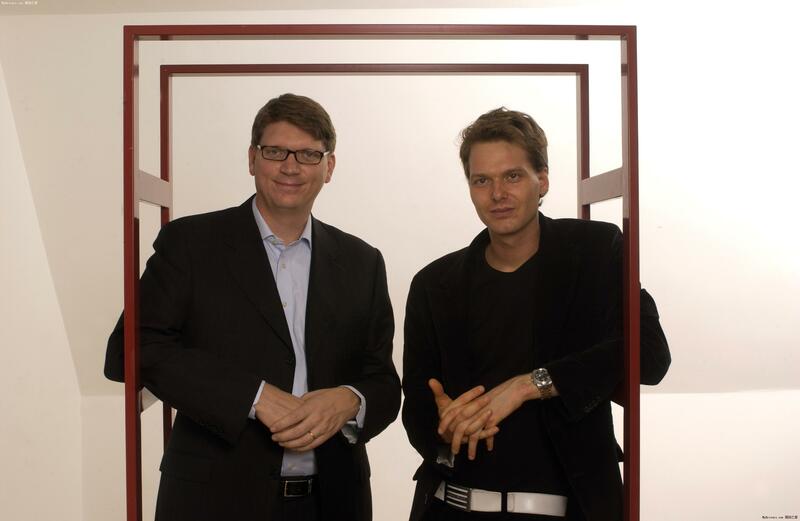 It all started with an idea from two people: Janus Friis and Niklas Zennstrom. They were the owners of a popular peer-to-peer (P2P) software solution Kazaa, which allowed users to download music akin to Napster. Eventually, the founders determined that they could use the same P2P technology they had with their previous company and use it to help with voice calls. As Softonic notes, Skype is an abbreviation for “Sky Peer to Peer”. The belief in Skype was that as more people were using the service, the more stable its connectivity was going to be, and would be free. Making long-distance calls wasn’t convenient back in the late 1990s, and so Skype’s appeal that it would make voice calls through their computer probably enticed a great many people. And I would believe it too — back when I was in college, I needed to call family who was across the country. I had a calling card that let me make long-distance calls from my dorm room, but it was cheaper (read, free) to use a service like Skype to simply dial and chat to whoever using just a headset. Skype’s service took off quickly and its technology has quickly boomed to 300 million users at a rate much faster than the telephone and cell phone. TIME magazine thought of it as “disruptive” technology, which is correct in that it saw expensive phone service as being inconvenient for millions of people around the world and did something about it, using an untapped source to do it: the Internet. Yes, she did say “Net” back then. Unfortunately it doesn’t appear that Whitman’s dream ever materialized as the hope of having eBay users chat with one another failed and the company capitulated and sold a majority stake in the service to investors, including Silver Lake Partners for $1.9 billion in 2009. 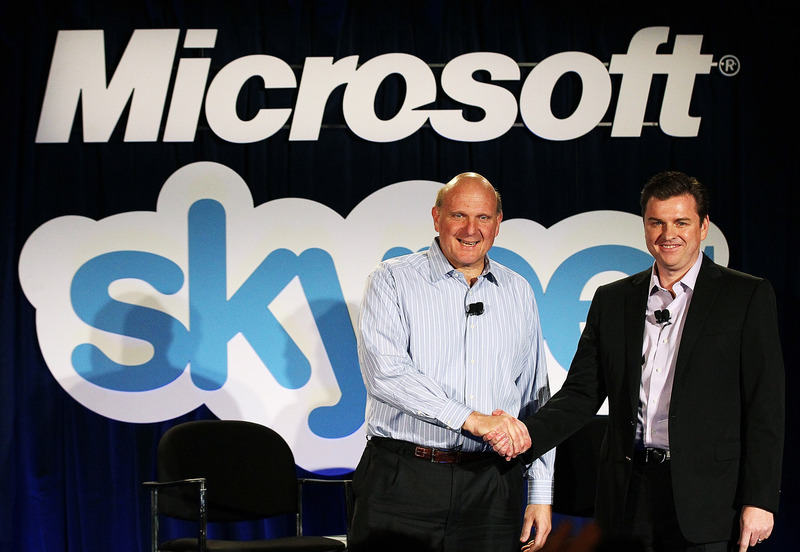 Thankfully, Skype’s salvation would come in the form of Steve Ballmer and Microsoft. With its consortium of owners looking to sell the company, the Redmond, WA-based Microsoft was happy to pick it up, to the tune of $8.5 billion. Since then, Skype seems to have found new life, including taking over as the de facto messaging client for Microsoft, replacing Windows Live Messenger earlier this year. Since its second acquisition, Skype has seen innovation increase, including the release of new desktop clients, mobile apps, better infrastructure, and has the potential to be the interlink between all of Microsoft’s various devices and products. The company has already implementing some plans, including tying in Skype with its newest game console, the Xbox One; not to mention for Windows Phone 8, Windows 8.1, and Outlook.com. In the past 10 years, it’s impossible to say that Skype had an easy ride to the top of the echelon. It has helped spur life into a whole new technology segment that mainstream users are flocking to and cast a spotlight on things that have existed for a while, but weren’t noticed before. Look around at the most popular apps and services out there and there’s a flurry of them, including WhatsApp, TextPlus, Viber, Tango, Apple’s FaceTime, Google+ Hangouts, KakaoTalk, ooVoo, and others. It seems that allowing users to text each other isn’t enough for apps to have these days — now the full communication spectrum needs to be implemented: text, audio, and video. Where will the real value lie to help consumers pick which service to use? Aside from quality of calls and features, it will boil down to the cost to use it. Yes, calling friends that you’ve connected with in the app will be free, but when you decide to use Skype or any of its competitors to call internationally, then it becomes a bit more tricky as companies will be competing to see who can get the lowest rate for the user. But it’s not just mobile applications that have gained more prominence, but also VoIP platforms as well, such as Twilio, Tropo, DeveloperGarden, Cisco, and others. I’m not saying that Skype was the progenitor of this industry, but it helped usher the world into paying attention to it. For all Skype’s achievements, its present and future as a Microsoft tentpole feature leaves plenty of room for innovation and success elsewhere in the wider VoIP sector. Take Twilio, for example. The company is on the cusp of a potential IPO and has struck deals with telecommunication giants like KDDI in Japan while also appealing to developers and the enterprise. As opposed to SMBs where interest in WebRTC for data (5.2% say they will use it) and audio (6.1%) is virtually non-existent, enterprise developers are more likely to build apps utilising these channels (10.4% will use data, 11.7% voice), although video capability is the most significant area of interest across both groups (86% for SMBs, 75% for enterprises). As we’re become an increasingly mobile society (by that I mean one where we’re always moving around, not necessarily related to the phone), being able to reach friends, family, and loved ones at any time and any place is incredibly important. 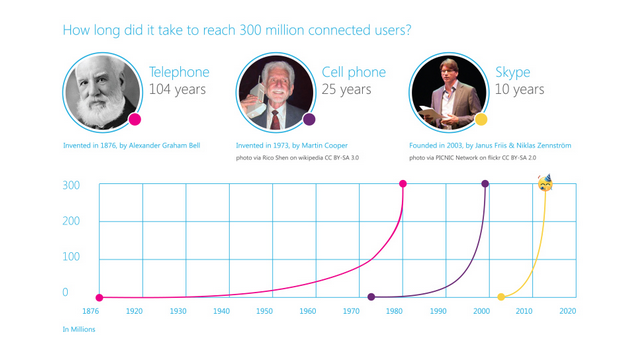 Skype has certainly helped move the world closer to its dream of inter-connectedness.